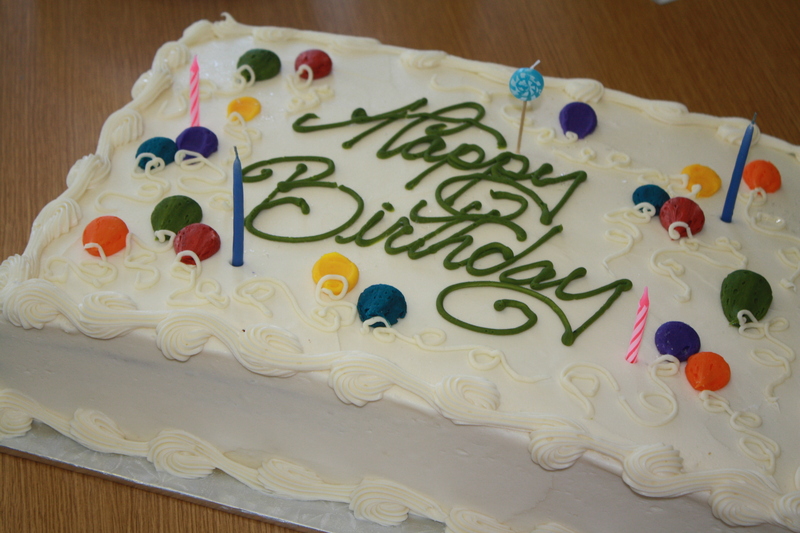 Butler Auto Group’s Monthly Cake Day! We have a new holiday at Butler Auto Group: Cake Day! It’s the one day every month that we celebrate all employees with a birthday in that month. We in the marketing department are in charge of Cake Day. We order the cakes (one for each Butler store) from Ashland’s Market of Choice , choose the flavors, pick the cakes up, and deliver them. It’s a little like being Santa Claus… although it’s also monstrous test of will power which we frequently fail. *Sigh* The marketing department loves cake. But more than our fondness for baked goods is an appreciation for the sentiment behind the holiday. We love that Butler wants its employees to feel acknowledged, appreciation, celebrated. That, in itself, is something to celebrate! Bring on the cake!